Have you ever wondered why Line of Action is so keen on getting you to draw in ridiculously short spans of time, like 30 seconds? Worried that you don't know how to use class mode? Never fear! We now have a 15 minute, hands-on tutorial that will introduce the basic sets of exercises that class mode is tailor-made for. Built on the drawing tools you know and love, you'll get a step-by-step walk through to start you on your drawing journey. 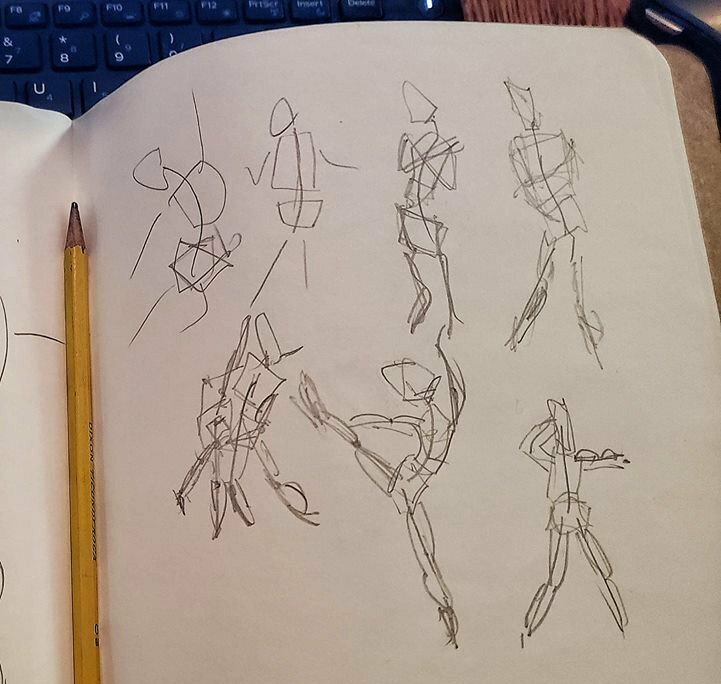 It's perfect for people who are just starting out learning to draw. In fact, here's a set of 1 and 2 minute studies done today by someone who had never drawn anything before following along with the new tutorial. The first version of our in-class tips and exercise suggestions is now live for full subscribers. 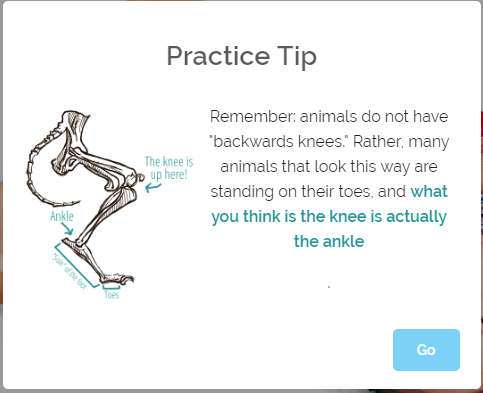 For now, the first round of hands and feet in-class tips are still being worked on, but you can enjoy the new feature in our figure study, animal drawing and faces & expressions tools. Choose class-mode to get exercise suggestions and other quick tips as you go. A number of small tweaks to how practice time is reported went into effect today. This should make the amount of time the site shows you've practiced per day that much more accurate, helping you know whether or not you're meeting your goals. You may also have noticed that the homepage is now showing a count for how much practice time has been done around the world, along with a sampling of sketches from students like you! We have several lovely new photo bundles on their way in the next few days for your practice enjoyment, and shortly after that, we should have better photo filters for the various practice tools so you can get specific about what you want to practice. Comments on "In-class tips and a new tutorial"